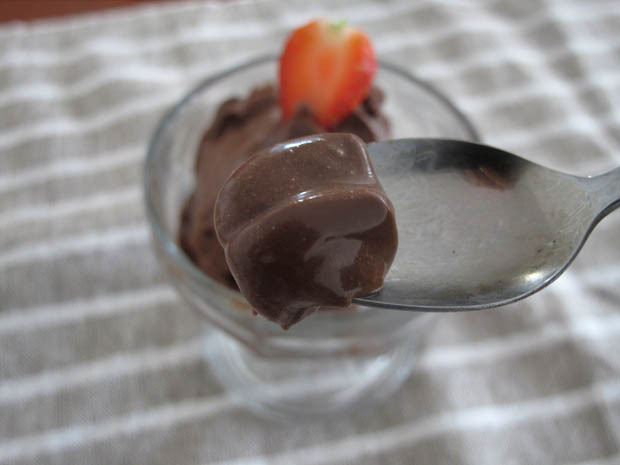 We’re looking for a chocolaty, elegant and easy dessert. Bobby Flay’s dark chocolate mousse of Boy Meets Grill fits the bill. This recipe though extremely easy, can be a little tricky. The recipe call for both cream and eggs to be whisked until they form firm peaks. Here’s a visual guide on soft, firm and stiff peaks. 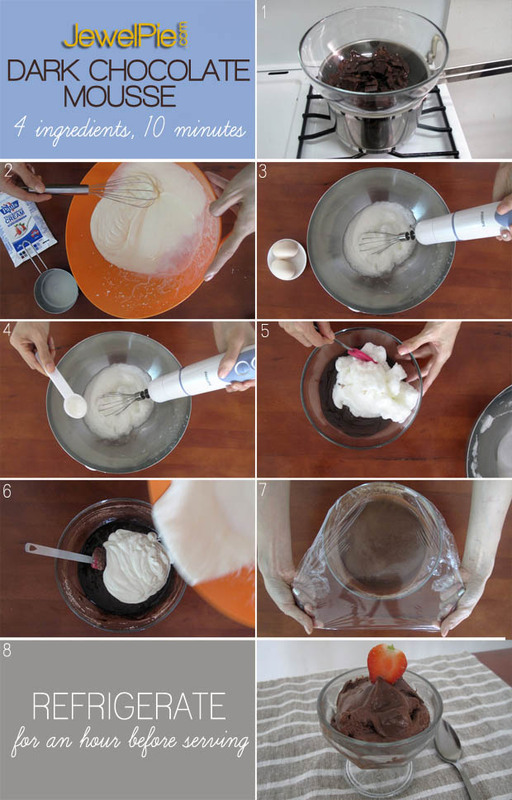 It cannot be stress enough how it is important to whip the egg with clean, non-greasy whisk. Otherwise, it cannot form. 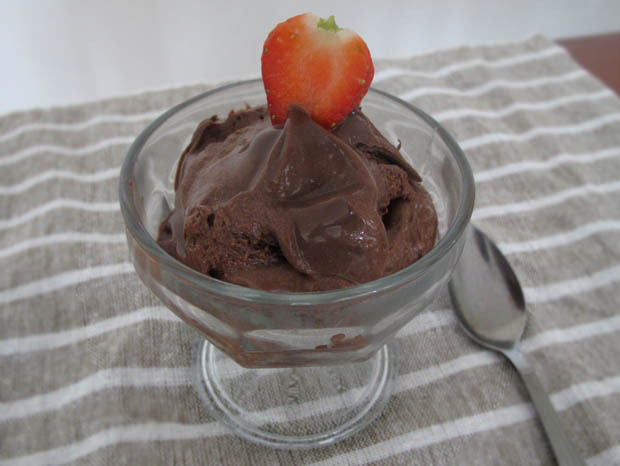 Other than that, making chocolate mousse is a breeze. 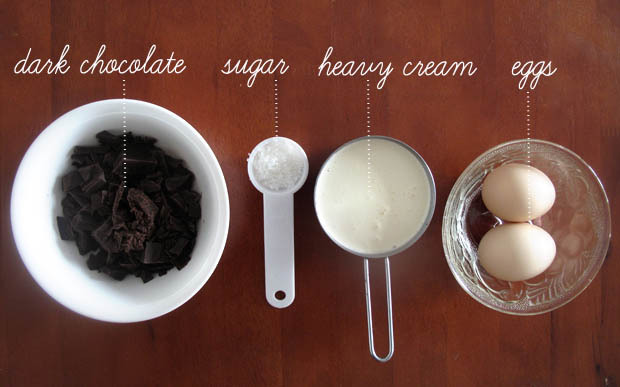 While chocolate is melting in the pot, beat heavy cream with a regular whisk until soft peak is form. It will take about a minute or two, depending on your strength. (about 2 minutes). 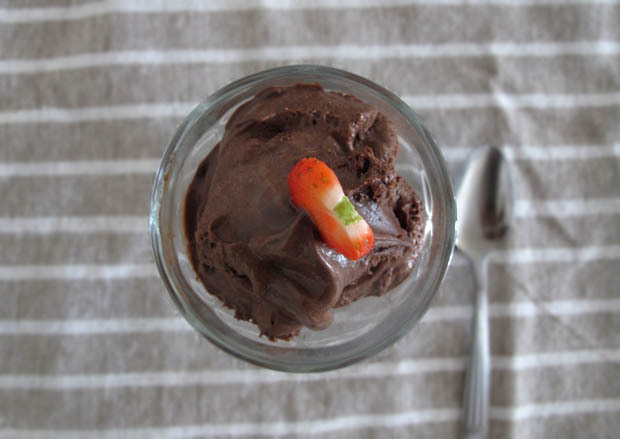 Chocolate moose can be quite filling if served in a large amount. For a light dessert, we served in small goblets and garnished with a slice of strawberry. You can topped it with chocolate flakes, whipped cream, nuts or other fruits. Enjoy! What dessert do you normally make at home? Share with us!